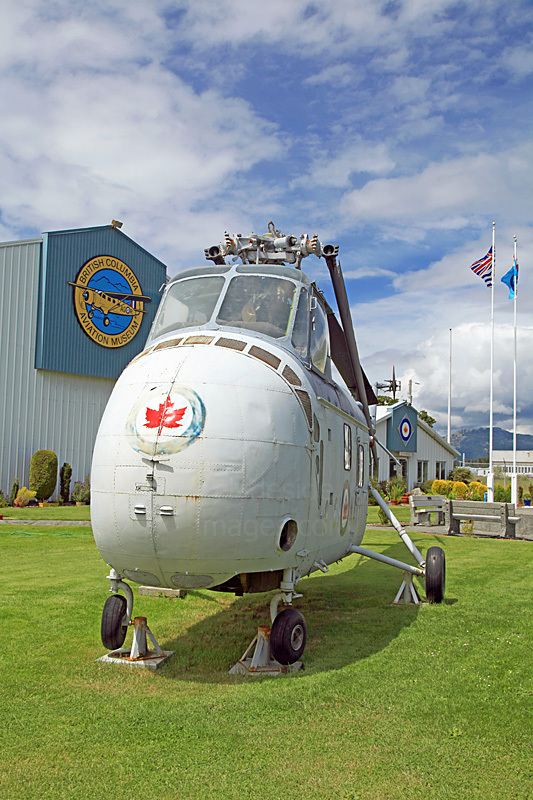 ​The British Columbia Air Museum is located on Vancouver Island at Victoria's International Airport which lies 15 miles (25km) north of the city near the town of ​ Sydney. 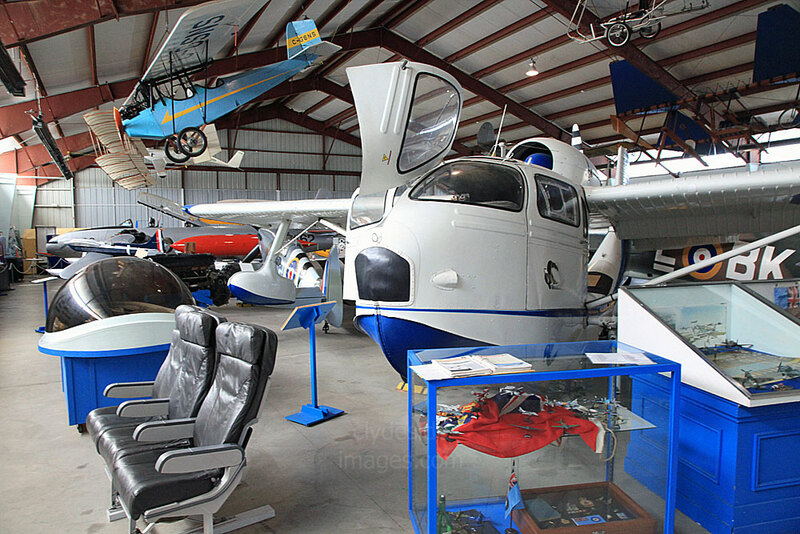 The interesting collection, including all but one of the aircraft, is housed in a couple of hangars but, like many small museums, space is at a premium, making uncluttered photographs of the larger exhibits difficult to achieve. Only this Sikorsky S-55 is on open air display and guards the entrance. In 1952 the Royal Canadian Navy took delivery of three of these helicopters and designated them HO4S-2. Their primary role was to act as fast reaction rescue platforms during carrier operations and over the years many grateful aviators were plucked from the ocean swells after ditching. 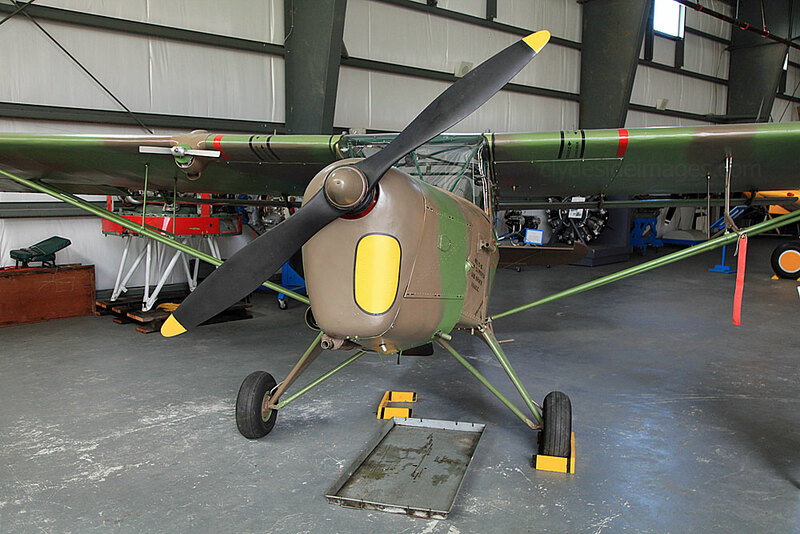 ​Around 20 planes, a couple of large-scale replicas, aero engines, uniforms, numerous models and artifacts make up the collection. 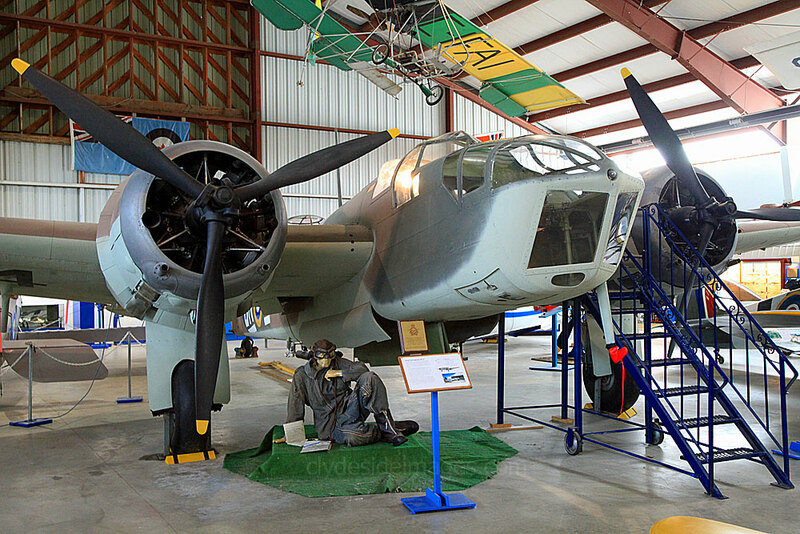 Knowledgeable guides are on hand and are more than happy to accompany visitors who wish detailed information on the history of the museum and the story behind each aircraft. ​More information can be found on the Museum`s official website: www:bacam.net. This memorial outside the museum entrance commemorates the RCAF personnel who were stationed at the local base of Patricia Bay during the Second World War and lists their squadrons and units. 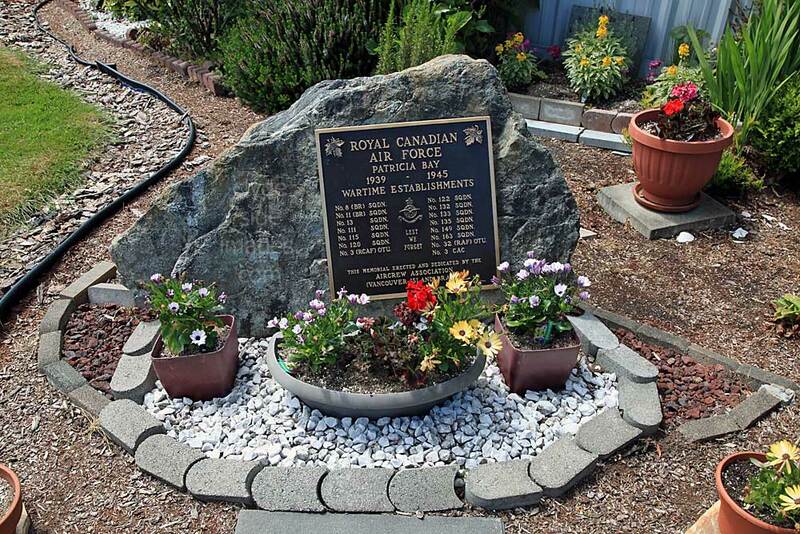 ​An additional memorial plaque inside honours the airmen and airwomen of Canadian, Commonwealth and Allied Squadrons. Avro Anson MKII FP846 Canadian Air Force. The Avro Anson was the most widely used aircraft in the history of the Royal Canadian Air Force who operated 4,413 in various roles from 1941 until 1954. A number were flown by private operators in Northern Canada as light transports and for survey work until 1969. 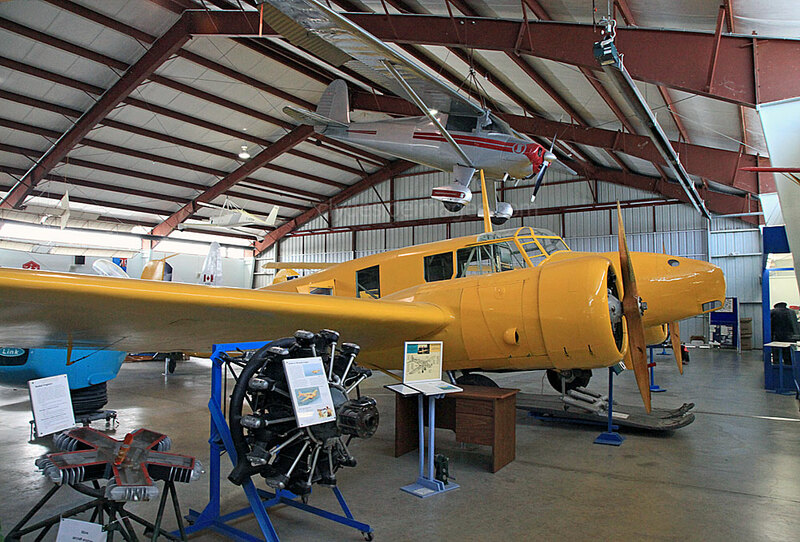 During World War II the Canadian Air Force used Ansons primarily as trainers and many were locally based at Patricia Bay. The museum's example is a MKII, Serial Number FP846. Suspended from the roof in the background is a two-seater Luscombe 8A “Silvaire”, one of the first light aircraft to be built entirely out of aluminium. North American Harvard, serial number 3290 (814) Canadian Navy. Another famous trainer from the same era was the Harvard. They were considered to be the best advanced trainers of their time, and served for decades, forming the mainstay of the British Commonwealth Air Training Plan. Noorduyn built 2,800 for the RAF and the RCAF during the War, and Canadian Car & Foundry built a further 550 post-war for Canada and the US. The parent company built 13,685 very similar T-6 and SNJs. 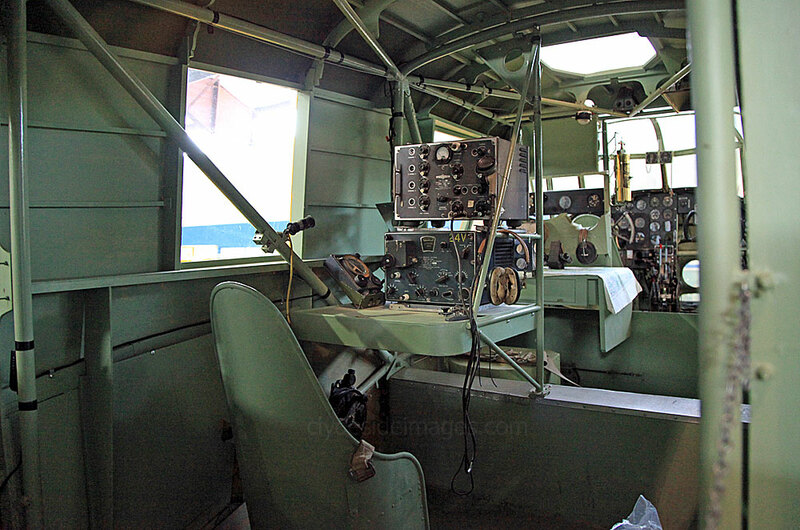 The museum`s aircraft is a Canadian Navy example Serial No.3290 (814) which has been totally rebuilt from a write-off which was donated by Victoria Air Maintenance. It includes parts of a Mark II, some from a Mark 4 and an AT-6 “Texan”. After a lengthy restoration it was rolled out on August 5, 2012. 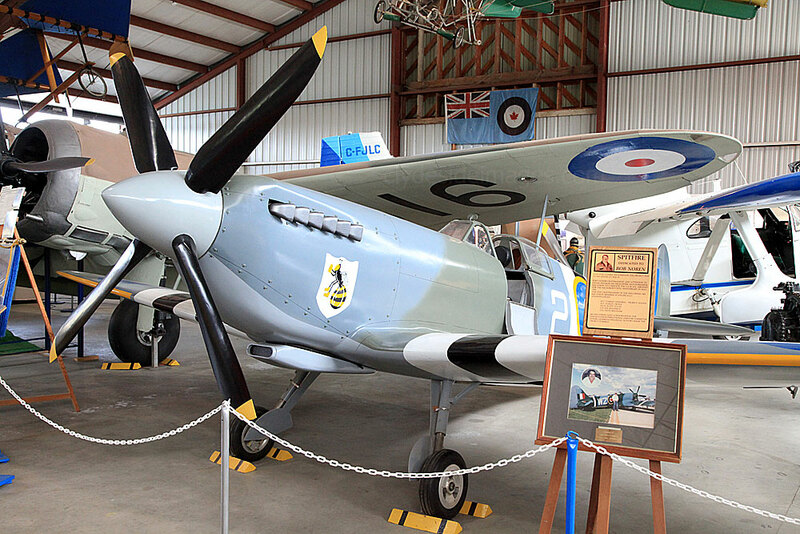 This 3/4 scale Spitfire replica had been under construction by Bob Noren when he passed away at the age of 41. 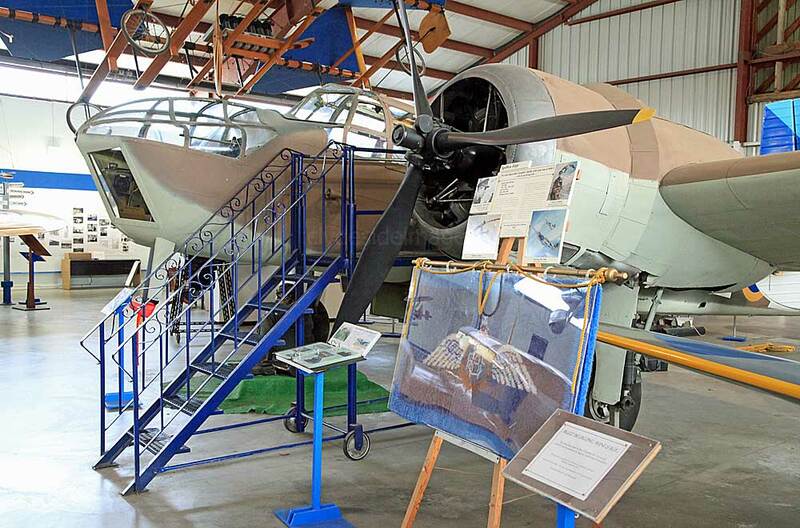 It was presented to the Museum in Bob’s memory and was completed by members of the Maintenance Group of 443 Squadron, stationed at Patricia Bay. During WW2 this squadron flew Spitfires and the replica was completed in time to commemorate 443’s 50th Anniversary in May 1993. It is painted in squadron colours and sports D-Day Invasion Stripes. 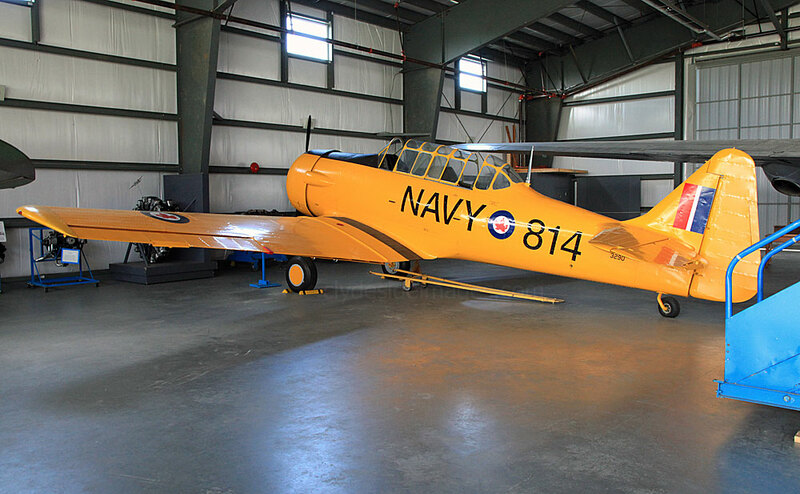 ​This recently restored Bristol Bolingbroke MK IV is actually a composite of two aircraft and has been painted to represent a plane from No.3 OTU (Operational Training Unit) RCAF who operated locally from Patricia Bay. The name `Bolingbroke` was originally applied to the long-nosed version of the UK’s Bristol Blenheim light bomber, the fastest combat aircraft of its day, but was subsequently used to designate all Canadian licence-built aircraft of this type. The remains of two aircraft have been used to construct the world's last surviving Eastman E2 Sea Rover. Only eighteen were built by the Detroit, Michigan based company with five being used in British Columbia for many years. The E-2 was designed by former Ford engineer Thomas Towle for industrialist Jim Eastman of Eastman Laboratories. 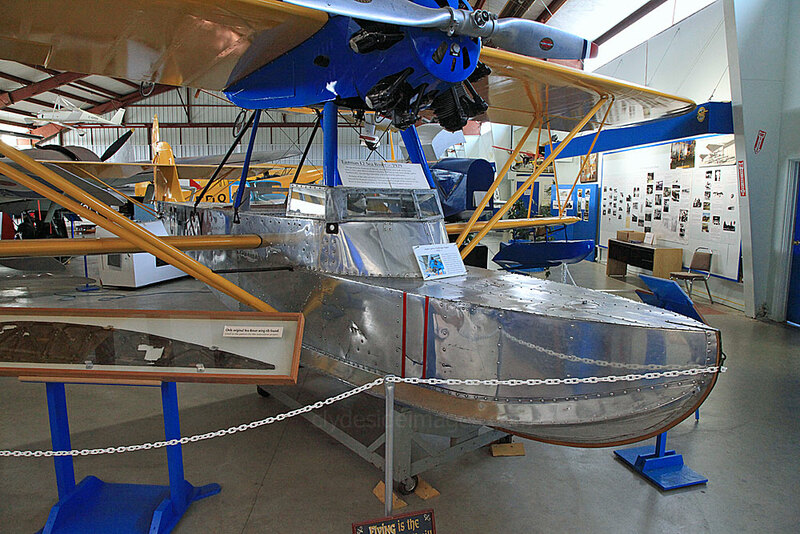 Towle was in the process of starting his own company, the Towle Marine Aircraft Engineering to produce his twin-engine amphibian design, the Towle WC. Eastman founded the Eastman Aircraft Corporation of Detroit to build the E-2. 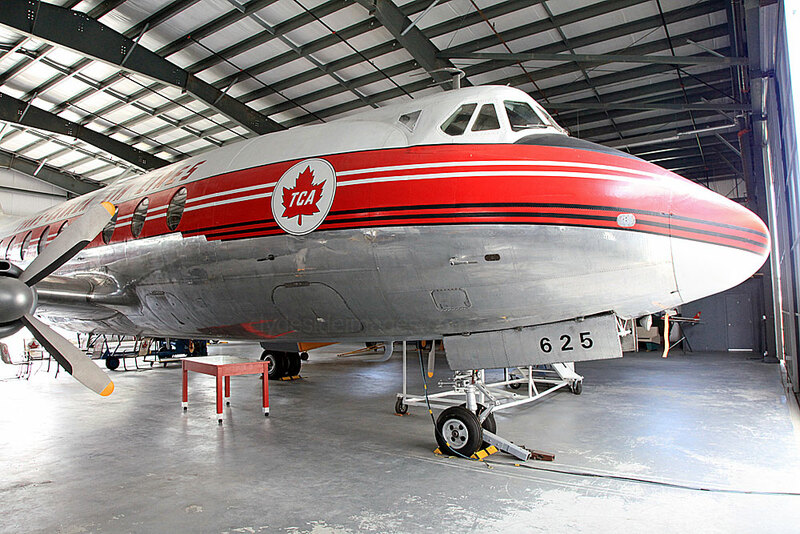 The museum acquired ex-Air Canada Vickers Viscount CF-THG (625) from the Pacific Maintenance School at Vancouver International Airport in 2005 where it had been used as an instructional airframe and for non-destructive fire training. The aircraft is in its original Trans Canada Air Lines (TCA) livery. The medium-range turboprop airliner made its maiden flight in 1948 and went on to become one the miost successful and profitable of the early post-war transport aircraft. A total of 445 were built. Following the end of WW2, a number of Douglas A-26 Invaders were converted into fire-fighting water bombers. 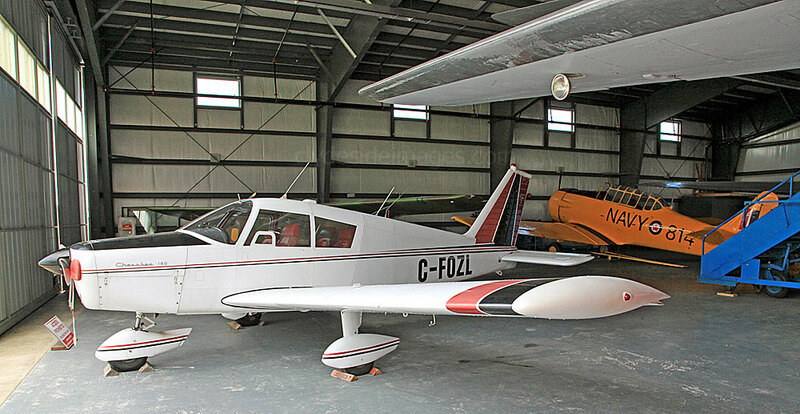 This particular aircraft was acquired from Abbotsford based Conair who donated it to the museum. It's an A-26B. 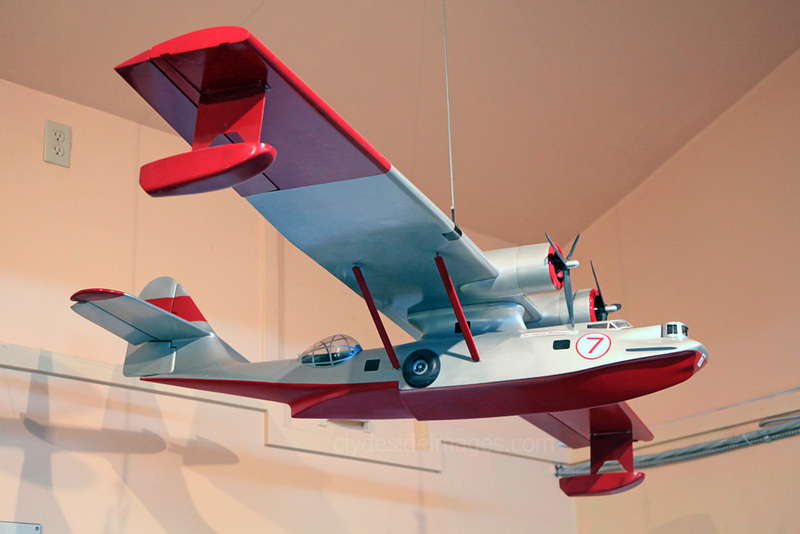 Large scale models of other water bombers hang from the ceiling within the museum including a Martin Mars flying boat. 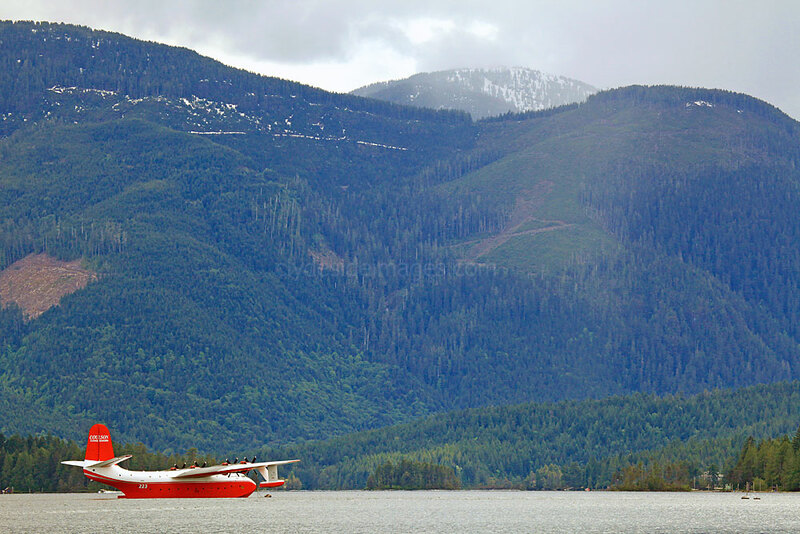 Two Martin Mars, the world`s largest fire-fighting aircraft, were based on Vancouver Island at Sproat Lake until fairly recently. Clockwise from top left: Martin Mars, Canadair CL-125, Republic RC-3 Seabee and a Catalina. 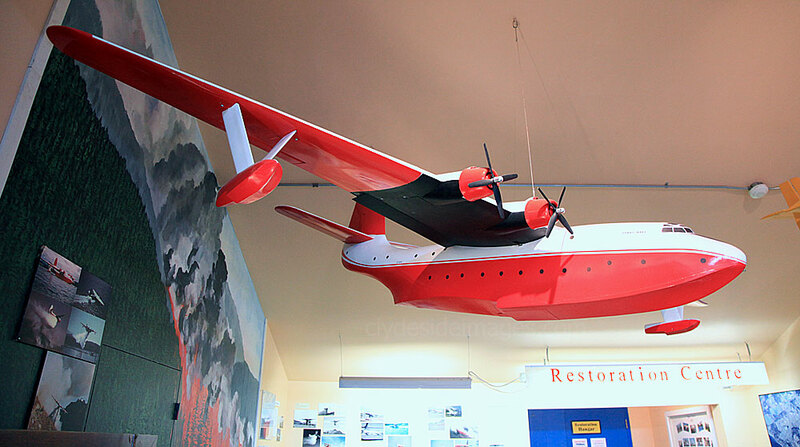 The full-sized RC-3 below is an ex-Alaska Coastal Airlines floatplane previously used by the company's manager as his personal hunting and fishing 'taxi'. ​The prototype Noorduyn Norseman ​first flew in November 1935 and by the end of the end of the Second World War, 903 had been built, many of which served in the United States Army Air Force. It was the first Canadian designed and produced aircraft sold on the world market, and played a key role in establishing the reputation for excellence and performance enjoyed by Canadian aircraft manufacturers today. 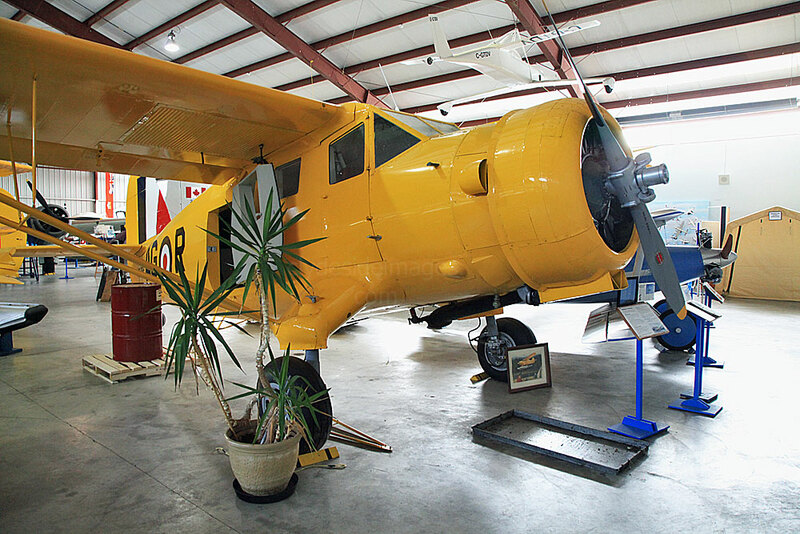 The museum`s restored UC-64A Noorduyn Norseman was originally built in 1944 for the USAAF but returned to Canada in 1956. It saw a variety of owners, and eventually crashed at a remote mining site at Bronson Creek, B.C. A curious bear added to the already extensive collision damage and the plane was declared a `write-off`. 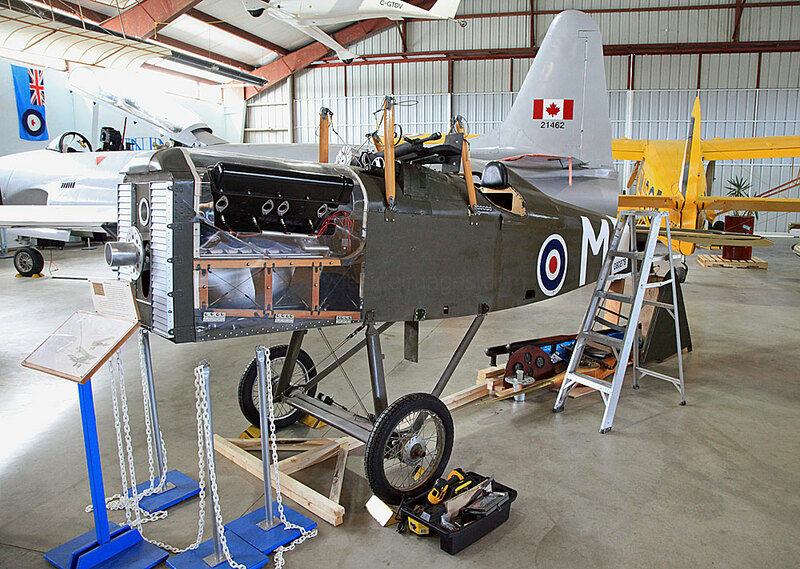 The BC Air Museum bought the aircraft for scrap value and acquired another fuselage in Manitoba. 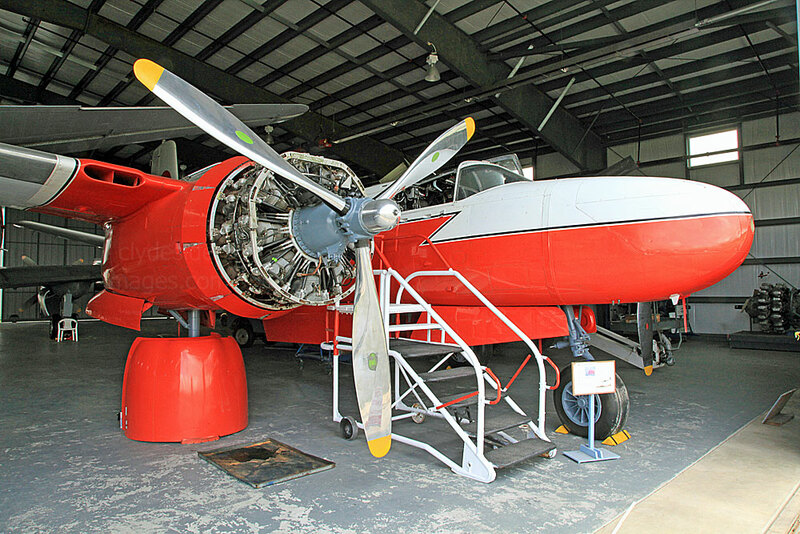 With assistance from the Millennium Fund, a lengthy restoration returned the aircraft to airworthy condition. It was rolled out in August 2003 and flew only once, as insurance costs proved to be prohibitive. 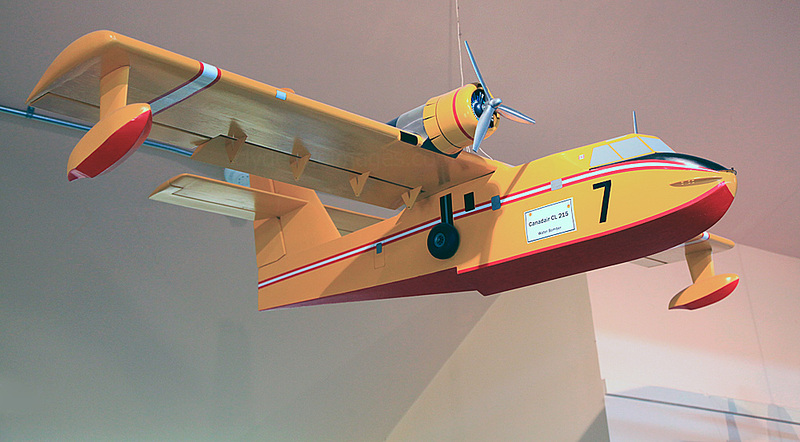 It now bears the civil registration CF-DRE but is displayed in the colours of a locally based RCAF WW2 aircraft. 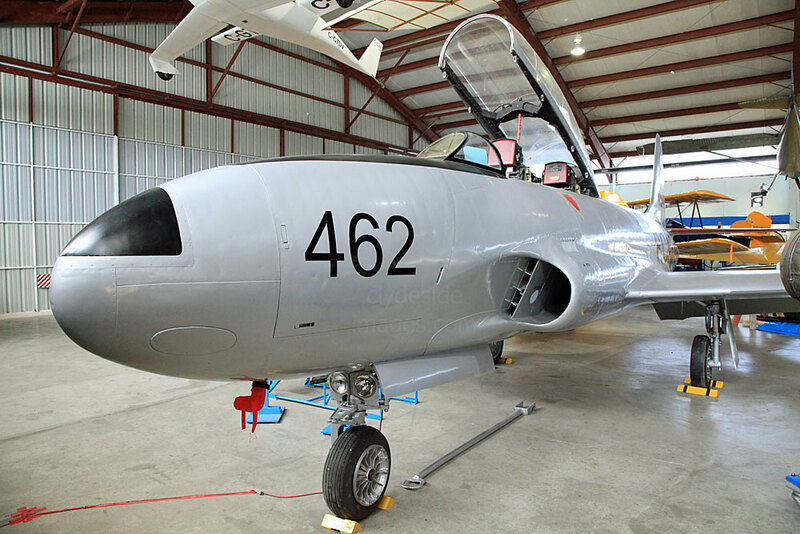 Canadair / Lockheed T-33 Silver Star, RCAF serial number 133462. During the 1920`s, the popularity of relatively cheap `aircraft kits` grew rapidly. The Lincoln Sport bi-plane, a product of The Lincoln Aircraft Co. of Lincoln, Nebraksa, was a promising home-built design, plus buyers had the option of purchasing a fully assembled aircraft, but unfortunately the Great Depression of 1929 killed off this enterprise and only plans were made available. Even so, the aircraft proved popular and the Sport is in great demand today by aircraft collectors although relatively few examples remain. ​The Lincoln Aircraft Co. was owned by Victor Roos who was one of the few aviation pioneers whose name did not become a household word. In 1927, Roos was the partner of Clyde Cessna, founding what has become the Cessna Company today. For a time, Roos was also associated with Mario Bellanca, one of the foremost aircraft designers of the 1930s. In 1931, Lincoln Aircraft merged with the American Eagle Aircraft Corp. of Kansas City, Kansas. The Museum`s Lincoln Sport was stored outside for many years, before donation to the Museum. It was in poor condition and in addition to complete reconditioning of the wings a completely new fuselage had to be built. ​Right: The Royal Aircraft Factory’s S.E.5A was one of the Allies finest fighting scouts of the First World War. It entered service in 1917 and at a time when rotary engines dominated it was fitted with the 150hp Hispano-Suiza water-cooled V8. Not only did it prove to be an excellent fighting machine, it was also easy to build and maintain. It was used by all the Allied top `Aces`. Over 5,200 S.E.5As were produced. Together with the Sopwith Camel, the S.E.5 was instrumental in regaining allied air superiority in mid-1917 and maintaining it for the rest of the war, ensuring there was no repetition of "Bloody April" 1917 when the Royal Flying Corps, flying air support during the Battle of Arras, suffered horrendous losses at the hands of the German Air Force. The worst carnage was amongst the new RFC pilots many of whom lasted just a day or two. 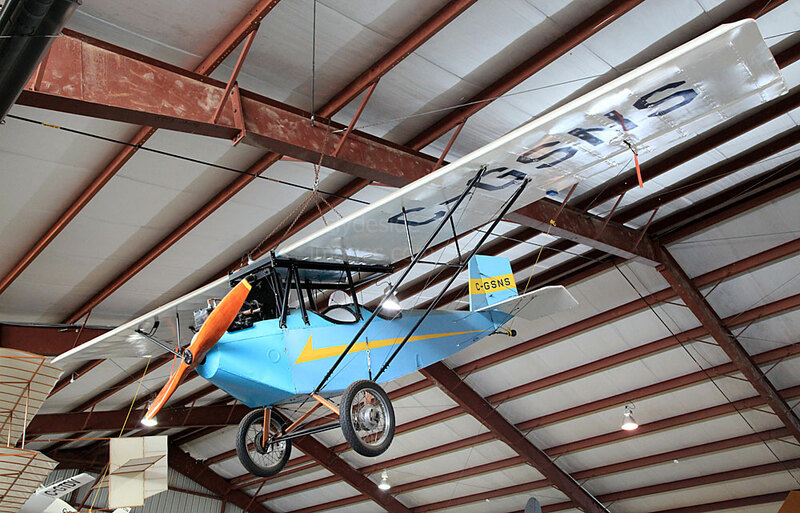 The Museum`s airworthy 7/8th scale replica, donated to the Museum in 1995, was built by Dennis Mitchell and flew with a modern engine. The decision was taken to cease flying and replace the aircraft`s engine with a scaled replica of the Hispano-Suiza. This was built without plans by the Museum’s Jeff Phillips. Fleet Model 2 Biplane CF-AOD. 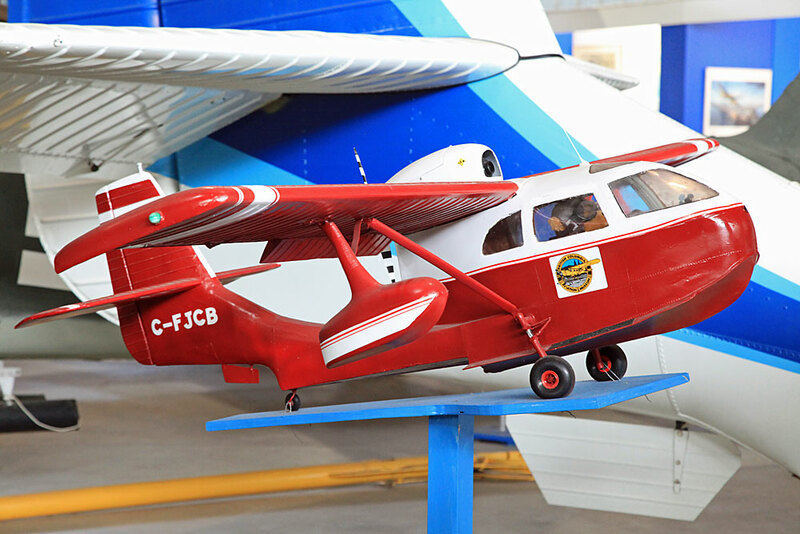 Fleet Aircraft was set up in Canada in 1930 by Reuben Fleet of the Consolidated Aircraft Corporation to get around import regulations. The Model 2 was a low powered trainer for civilian and recreational use. Twelve were manufactured for the Canadian market before being succeeded by the Type, 7, 600 of which were produced as a military trainer. Total production in North America was 1,250. The Museum’s example was the 4th of the initial production run. It was delivered in 1930 and spent its nearly 50 year career in northern BC. It was mainly engaged in prospecting, usually operating on floats. 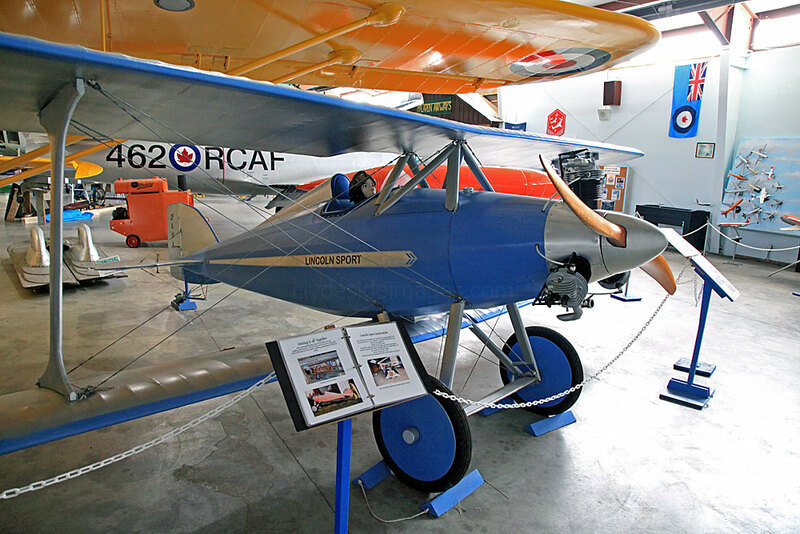 This aircraft was on display at the Royal British Columbia Museum in the late 1970s and was the oldest registered aircraft in Canada when officially retired in 1981. 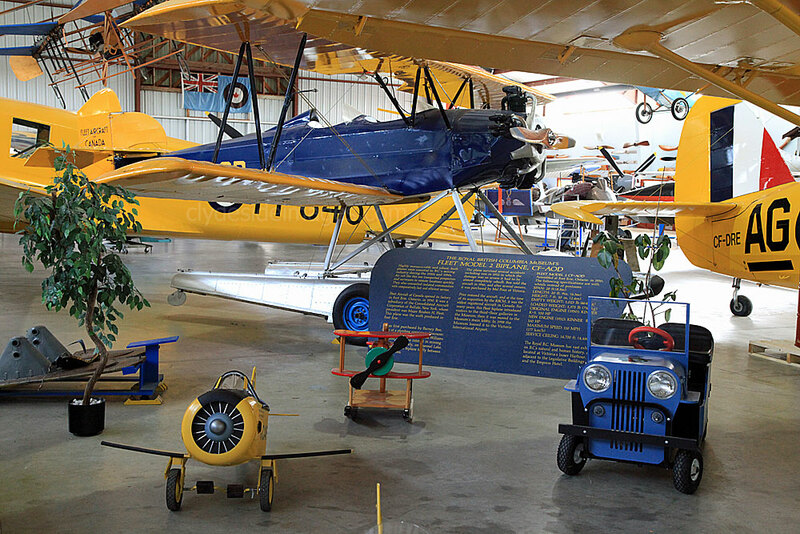 It is now on long-term loan to the BC Air Museum. Auster A.O.P.9. CF-XNF (ex VP639). The Aircamper is another product from the 1920s and `30s when the idea of building your own aircraft flourished. Many kits were offered, but some were disasters. On the other hand the Air Camper`was a popular, very gentle aeroplane to fly with few bad habits. Many were constructed over the years and the Museum`s example was built between 1978 and 1984 by Bob McDonell. It had never flown and it was donated to the Museum in 1990. 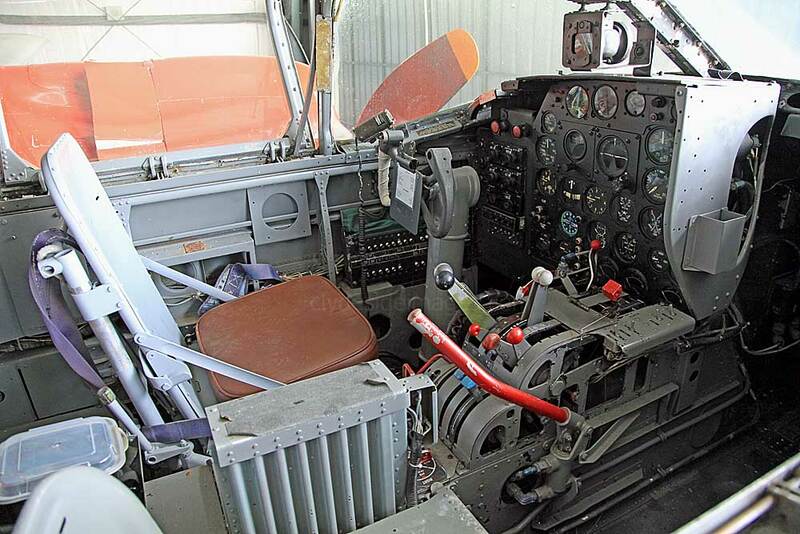 More than 5,600 Bell 47 helicopters were produced between 1946 and 1974 with the USA being the primary user. They were also used extensively by the British Army. 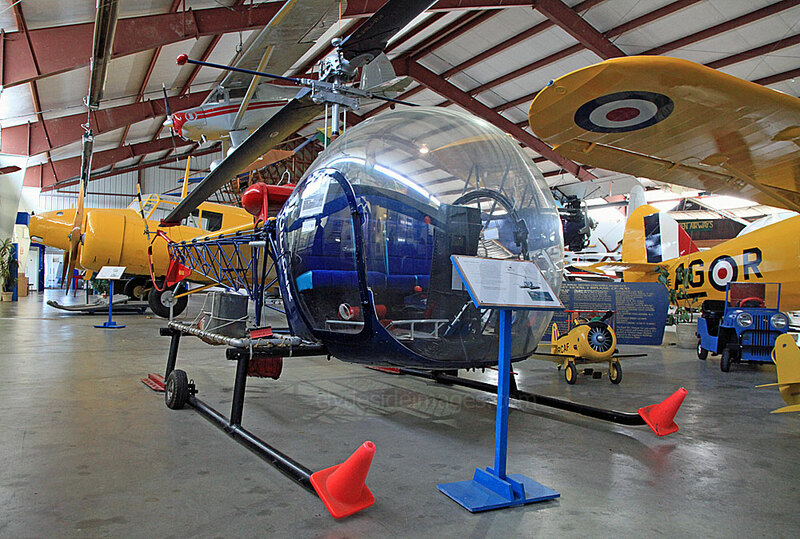 The Museum`s example was the first commercial helicopter to be operated in British Columbia in 1948. It originally had an open cockpit, an enclosed tail boom, and a wheeled undercarriage. 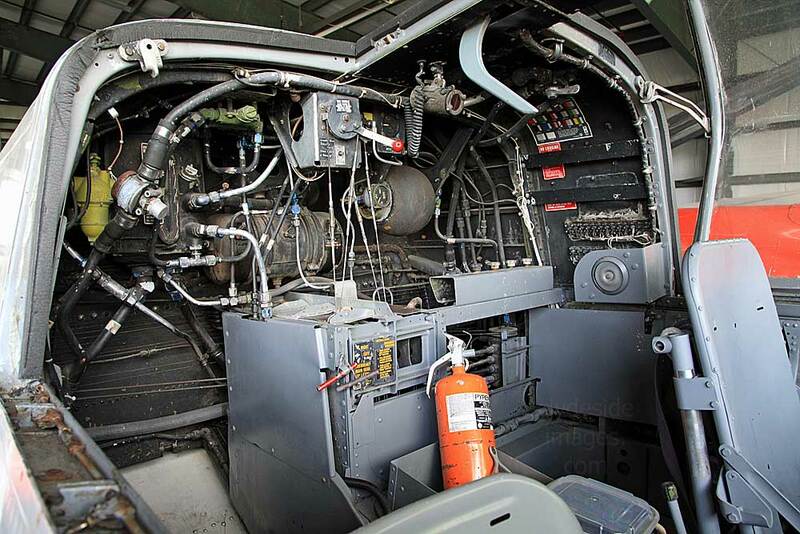 An upgrade to 47D standards saw a bubble canopy added, the tail boom uncovered, a tail rotor guard called a "harp" added, plus a skid undercarriage. This helicopter is owned by the Royal British Columbia Museum and is on long-term loan to the BCAM. 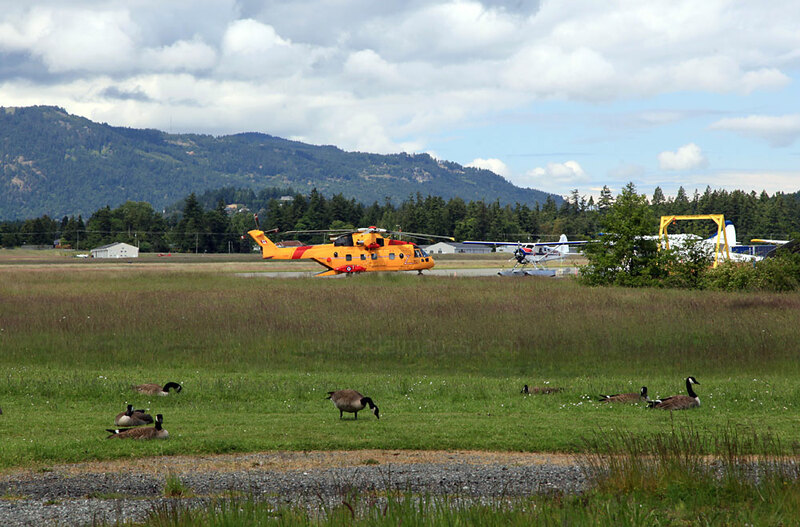 Out on the airfield itself things were very quiet with no low-flying jets disturbing the chilled-out Canada Geese. interest was provided by Canadian Navy Augusta Westland CH-149 Cormorant, No 9907 from 442 Squadron and C-GMGD, a 1954 de Havilland DHC-2 Mk. I Beaver operated by Alpine Aviation.